With Mother’s Day just five days away, are you still searching for the perfect gift? Forget the clichéd bouquet of flowers that will wither within a week. Walk right past the big box store shelves filled with the same old, same old. 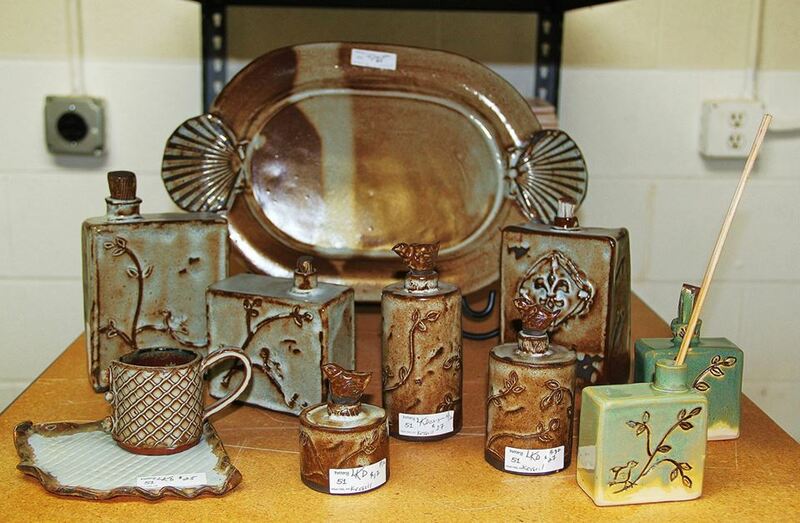 Instead, go directly to Pottery 51 in downtown Mint Hill within The Lofts at 7714 (7714 Matthews-Mint Hill Road). There, you are sure to find a gift for your mother that is as unique and beautiful as she is and that is sure to become a cherished family favorite for years to come. 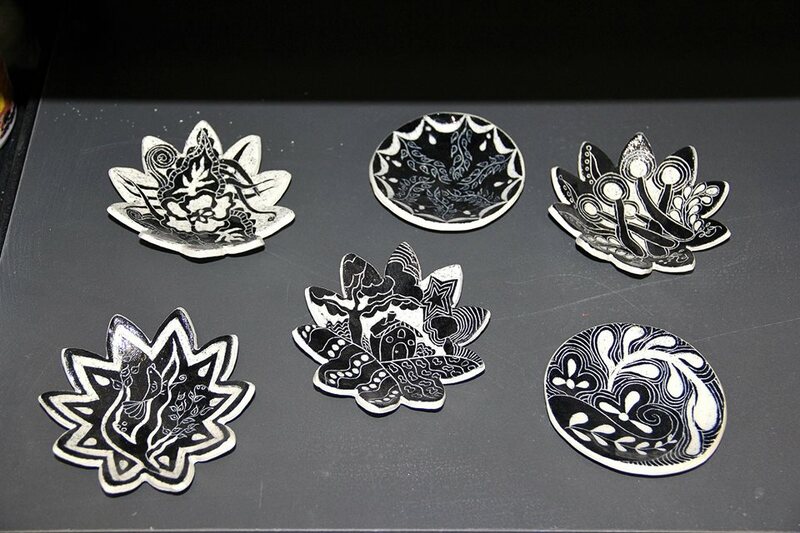 The potters and artists of Pottery 51 each have their own unique style with clay, jewelry and more. Take a look for yourself below. And just so you know, if the “Open” flag is flying outside their studio, an artist is at work within and their gallery is open for visitors and customers. Come join The Lofts at 7714 tenant Pottery 51 as they host their monthly Second Friday open house on December 13th from 6:30 – 9 pm. In addition to wine and cheese, visitors will have a chance to shop for a truly original holiday gift at the studio’s gallery. 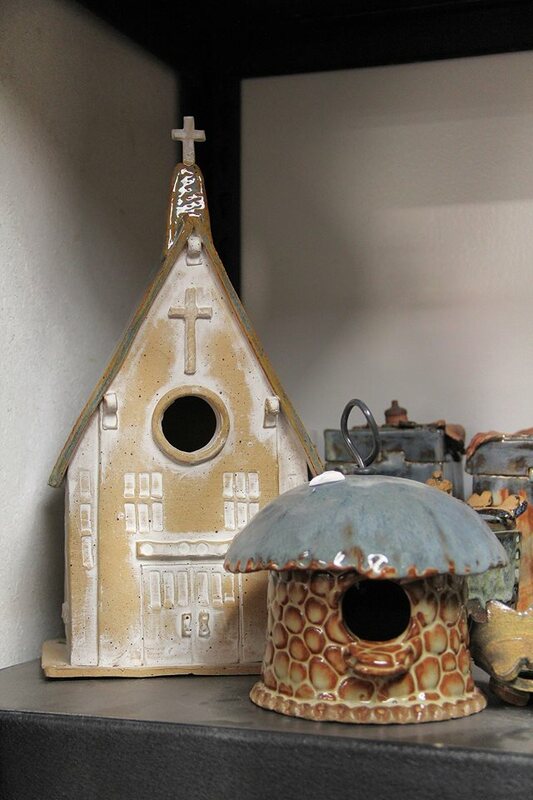 With a wide variety of clay works and jewelry created by local artists, you’re sure to find the perfect item for that loved one who has everything. Pottery 51 consists of 24 potters who create, spin and bake their pottery right on site. They also offer pottery classes for adults. Call 980-219-8657 or visit www.facebook.com/pottery51 for more information. The Lofts at 7714 is a retrofitted mill property in located downtown Mint Hill with available commercial space. Pottery 51’s Second Friday reception and studio tour is this Friday, November 8th from 6:30 to 9 pm at the studio located in The Lofts at 7714. This month’s featured artists are long-time Pottery 51 leader David Bridge and Althea Mead-hajduk. Pottery 51’s studio houses 26 local potters who spin and bake their clay works on site. 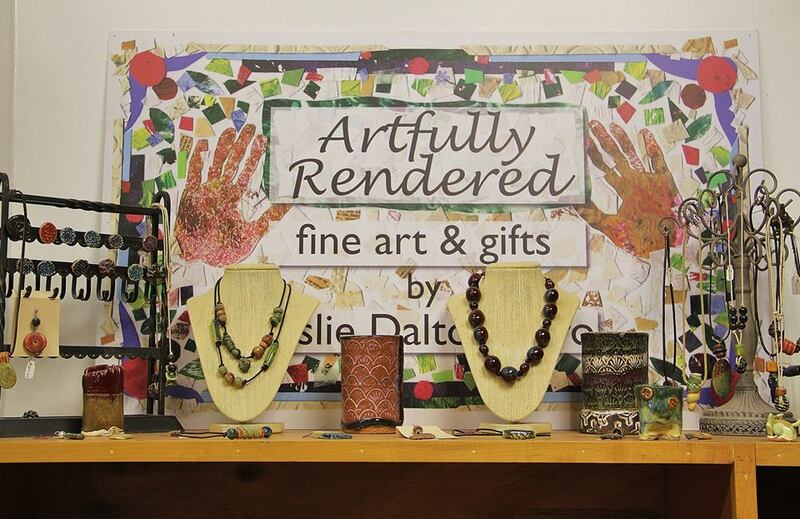 The end results are displayed in the front gallery as well as in each potter’s individual space, which makes Friday night’s reception the perfect time to start your holiday shopping. Forget the “same old, same old” gifts this year. 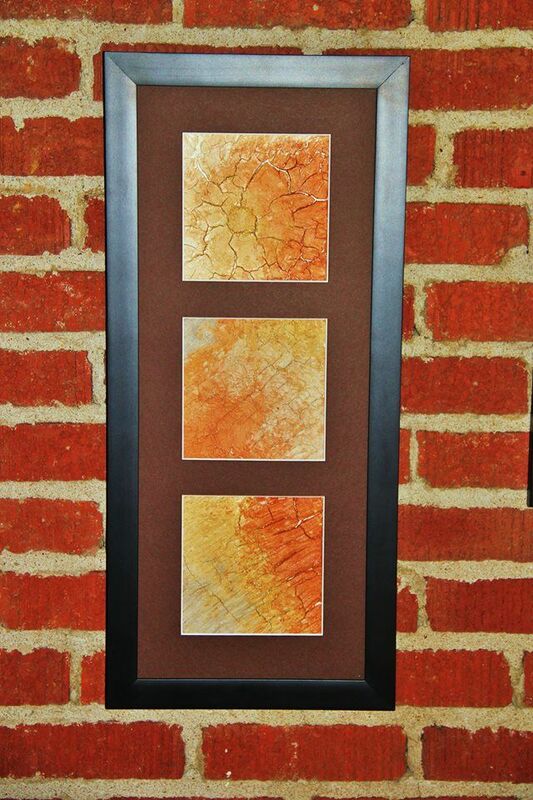 Give a truly unique gift – a piece made by a local artist in Mint Hill. Come spend this Friday night in a new way at Pottery 51’s Second Friday event. The Lofts at 7714, Mint Hill’s only mill property retrofitted into 10 unique commercial loft spaces, is located at 7714 Matthews-Mint Hill Road in downtown Mint Hill. The month of September at The Lofts at 7714 is filled with events and activities for the residents of Mint Hill, Matthews and Charlotte. This retrofitted mill property is located at 7714 Matthews-Mint Hill Road in the heart of downtown Mint Hill. September 4th: Mint Hill Yoga begins Senior Yoga classes at 9:30 am. Visit www.minthillyoga.com to register or find out more. September 5th & 7th: Spotlight Performing Arts Academy hosts auditions for its next production, Sleepy Holly – The Musical. Visit www.spotlightacademyonline.com for more information. September 7th: Spotlight Performing Arts and Mint Hill Yoga are both celebrating their one year anniversaries in The Lofts at 7714 with Open Houses. Spotlight will feature a live band and student performances and offer food, drinks, door prizes and giveaways from 3 to 7 pm. Mint Hill Yoga will offer free half hour yoga classes and chai tea from 3 to 5 pm. September 13th: Pottery 51 hosts its monthly open house with wine, snacks and beautiful pottery. September 16th: Spotlight Performing Arts Academy’s fall classes begin and run through November 18th. Class offerings include Kids’ Choir, Theatre 101, Spotlight’s Show Choir, Chorus and a Production Class. In addition, Mint Hill Martial Arts offers classes in Lai Tung Pai, Tai Chi Chuan and Daitoryu Aikijujutsu year round. To find out more about their traditional martial arts classes visit ww.minthillmartialarts.com/. Pottery 51 is the veteran among the tenants of The Lofts at 7714. Long before this vintage mill building at 7714 Matthews-Mint Hill Road in Mint Hill was renamed The Lofts at 7714, they were creating their art within its walls. First as part of Mint Hill Arts and then eventually on their own, they have been wonderful tenants and excellent stewards of this old building. It has been almost nine months since Pottery 51 moved from their former studio at the back of The Lofts at 7714 into their street-front space. In that time, they have created an artistic oasis for themselves and the town of Mint Hill, hosting their First Friday open houses, providing locally-made pottery and jewelry via their front gallery, and offering classes to aspiring potters of all ages. In addition to the internal work on their studio, the potters of Pottery 51, led by the tireless David Bridge, have added significant curb appeal to both the front and back of this building. As these photos show, Pottery 51, has brought new life to the building. JMMT, the owners of The Lofts at 7714, extend our sincere thanks to Pottery 51 for all of their hard work and their tender loving care of this circa 1945 building. 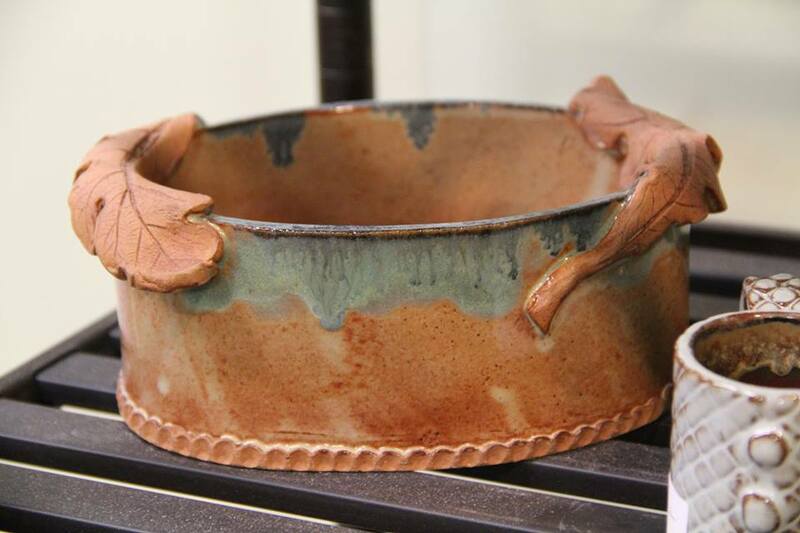 The local artists of Pottery 51 will participate in the Carolina Clay Matters Pottery Guild’s Spring Pottery Festival this weekend. The festival is Saturday, May 11th from 10 am to 4 pm at the Barn at McAlpine Business Park, 8300 Monroe Road in Charlotte. 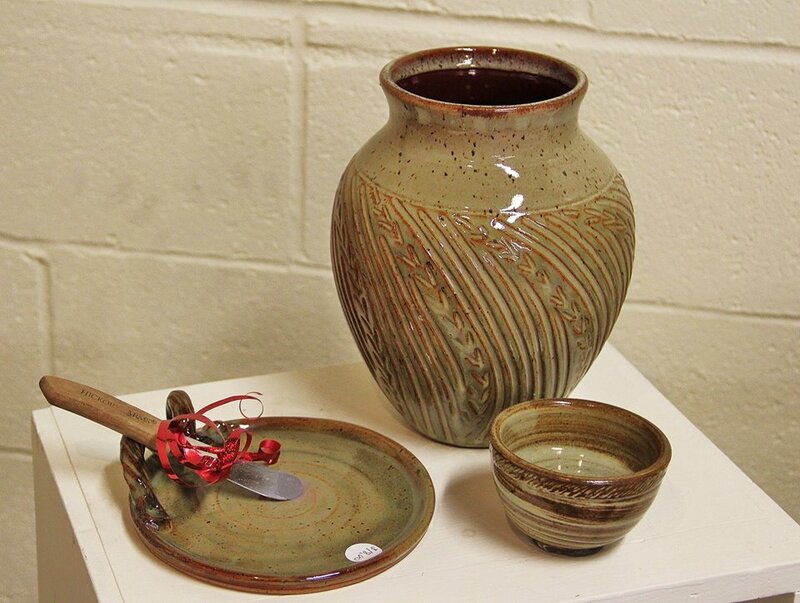 Specifically, Pottery 51’s Rachel Hoover, David Bridge, Max McLeod, Althea Hayduk and Brenda Roberts will join about 50 other local potters, all members of the Carolina Clay Matters Pottery Guild, in displaying their ceramic works at the festival. 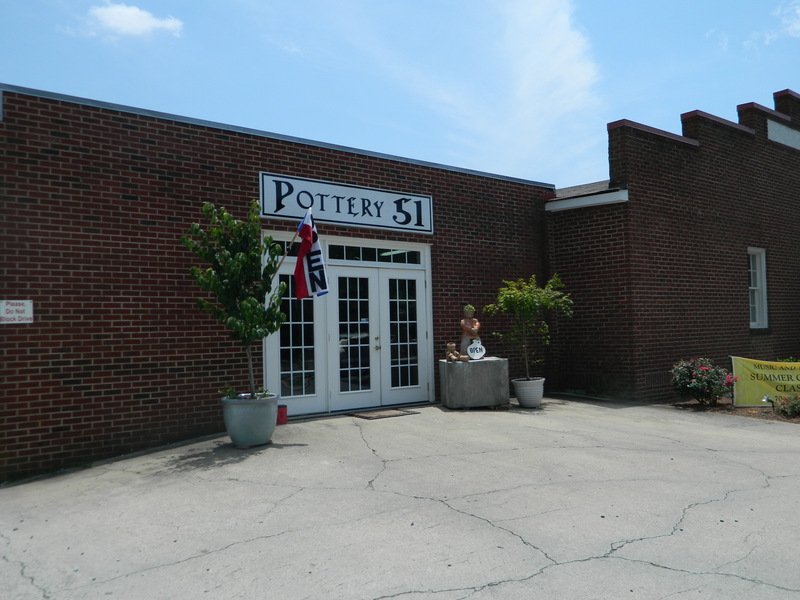 Pottery 51’s studio and gallery are located within The Lofts at 7714, a retrofitted mill property at 7714 Matthews-Mint Hill Road in downtown Mint Hill. The nonprofit group rents individual studio space to local potters and offers pottery classes to local residents.